Jakie serwery NAS obsługuje VOCO? 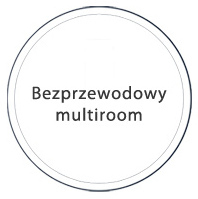 Które porty firewalla działają z VOCO? Jakie formaty VOCO obsługuje natywnie? 1. 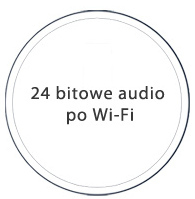 Podczas odtwarzania playlisty lub stacji radiowej wciśnij przez 2.5 sekundy guzik presetu od 1 do 5. Guzik Pre-setu zabłyśnie dwukrotnie. I już! The Logitech Media Server is highly customizable. These instructions assume the default theme and settings are used. 1. If you already have VOCO Media Server software installed, ninstall VMS per your platform. During the uninstall, please delete your preferences as well. 2. Download and install Logitech Media Server (LMS) 7.8.0 for your platform. You are leaving MyVOCO.com servers by clicking this link Logitech Media Server. 3. Open a browser and go to your newly-installed server's web interface. Typically, ​http://localhost:9000/. Substitute the IP address of a NAS device or different PC on your network. 4. Click on the \"Settings\" icon in the lower right. Then select the \"Plugins\" tab. 5. In the \"ADDITIONAL REPOSITORIES\" field at the bottom of the screen, add this URL: ​\"http://vmsserver.myvoco.us/repo/STABLE.xml\" and click \"Apply\". 6. After applying the settings, you should see a new Plugin section called \"MYVOCO REPOSITORY\". Click on the \"enable\" checkbox next to the MyVOCOnet plugin, and click \"Apply\". 7. A pop-up dialog will appear to confirm the installation of the MyVOCO.net Plugin. Click \"ok\" to install the plugin. 8. You will need to restart Logitech Media Server in order to download the plugin. The easiest way to restart the software is by rebooting.